Do you own a website yet? But is that really true? After all, small businesses have been around since forever, but the Internet only became a part of our everyday lives a few short years ago! You never needed a website before, so why would you need one now? If you’re a tad gun-shy about getting started, I can’t say that I understand it; I love running my business online! But there are alternatives, especially if you own and operate a local business. Perhaps what you need is a return to ‘the good old days.’ A return to classic marketing – the kind business owners have been using for decades…without the Internet. Let’s explore some of those options right now. Colorful postcards, brochures, letters, and fliers can be made to order and delivered directly to your potential clients’ doorsteps. Why send an e-mail to an inbox when you could send a tangible piece of marketing to their mailbox? Direct mail makes it easy to share a lot of information with potential customers. If you purchase a mailing list, you can make your direct mail campaign highly targeted. Want only middle-aged women within five miles of your business who own poodles? Young men who recently joined a gym and immediately quit? Or maybe young mothers who recently gave birth to twins? That information is out there and ready for you to take advantage of. The results of your direct mail campaigns can be easily tracked. If you include an envelope for return mail – maybe you’ve got a special offer that the prospect claims by replying – then you can quickly pinpoint who’s interested and who’s not. Unfortunately, direct-mail campaigns can be expensive. Professional printing costs money, as do envelopes and stamps. And those mailing lists I mentioned: also a tad pricey; but that’s too bad, because a non-targeted direct mail is pretty much useless (unless you truly have a product or service that appeals to everyone). Advertising in local papers and print magazines are a great way to reach local customers, and they typically offer reasonable rates and an array of size options. Some papers will even cut you a deal if you buy in bulk – either as an ad run in consecutive issues, or by printing your ad in the publication’s other districts. Furthermore, print advertisements give your prospects a sense of confidence. Unlike the online world (where anyone with money can buy ad space), print publications generally have higher standards and a review process in place. Whether deserved or not, print ads are often synonymous with integrity. However, those reasonable rates are often due to a small readership, so you may not reach as many people as you’d like. You also have no control over placement, which could leave your ad lost in the overall clutter – or worse, placed in an awkward (or damaging) position. Also, magazines like to take their time when it comes to publishing. The ad space you buy in March may not actually be seen until July. Not the best option if you have a time-sensitive offer. TV and radio advertisements hold an air of prestige, and they can reach an incredibly wide audience, depending on which station you advertise on. Television advertisements can often reach more prospects than you’ll know what to do with. After all, nearly every household owns at least one TV, and according the the Bureau of Labor Statistics, Americans spend an average of 2.8 hours per day watching television. However, there’s always a chance that you’ll become a laughing stock from your terrible commercial and your business will live in infamy forever. That’s a worst case scenario though, of course. More commonly, you’ll run into issues when keeping your ads up to date. If your products or services change, you’ll need to record an entirely new commercial, which can get expensive. Pros: If done right, cold calling can be great for information gathering. Even if you don’t gain a new customer, they may offer helpful suggestions on what they want from a service, or they could tell you who they use instead, giving you inside information about your competition. 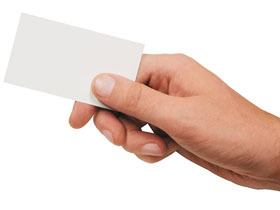 Professional-looking, unique business cards are a great way to make a first impression. Plus, who doesn’t feel like a boss when handing them out? Bulk-bought business cards tend to be inexpensive, so if you’ve got a brick-and-mortar business (and don’t plan on moving any time soon) or if you provide a set-in-stone service, business cards could be the way to go. However, if your services are constantly changing, or if your clientele is quite small, you could end up wasting your money. There’s also the problem of finding prospects to hand them out to. You’ll either need to engage in traditional meet and greet activities, or you’ll have to use a second marketing technique to lure customers to your business. ‘Referral’ advertising is one of the best methods to gain credibility, no matter what field you’re in. Best of all, it’s free! If you had to choose between two service providers – one a complete stranger and the other a trusted referral – you’d opt for the one with a seal of approval. Gaining and sharing positive testimonials from former customers shows new customers that you’ve got what it takes. Come on. Let’s face it. The Internet dates back to the 1960s – it’s not exactly new. So owning a business website is classic marketing. What are you waiting for? Back when the Internet was commercialized a little over thirty years ago (which is longer than I’ve been alive, by the way), obtaining your own website was a difficult, expensive venture. Fortunately, a lot has changed since then. Thanks to content management systems like WordPress, you can set up and run your own website – by yourself! – in a matter of hours; possibly minutes. 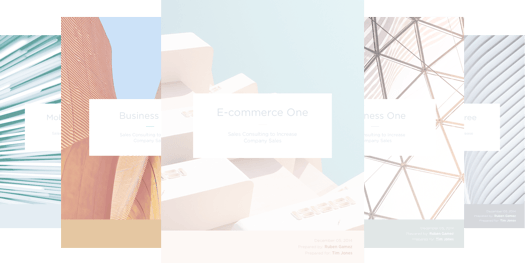 There’s a reason everyone and their half-nephew have been on your case about getting a website: it really is the best thing for your business. Traditional marketing methods have their place. But maybe it’s time to turn to a modern classic.